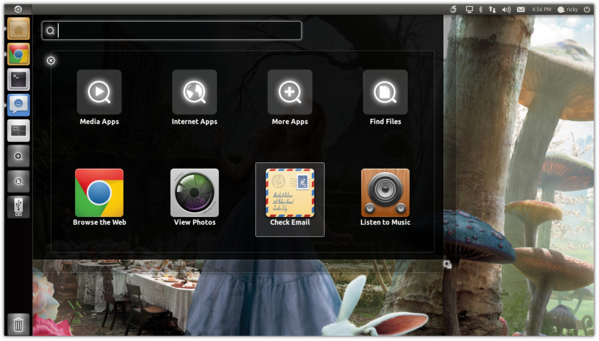 Yesterday we wrote about how you can install Unity 2D in Ubuntu 11.04. By default, Unity 2D does not have compositing enabled. So, with Unity 2D you will not get the shadows and transparency effects. Having compositing disabled is a good idea for older systems. However, some of us use Unity 2D only because it is much snappier than its 3D counterpart. If that is the case with you as well, you might want to enable compositing as well to get the shadow and transparency effects. Unity 2D does not come with any easy way to enable compositing. However, Mariano Chavero has come up with an application using which you can do it very easily. After the installation, open the Dash and open 2D Desktop Settings. 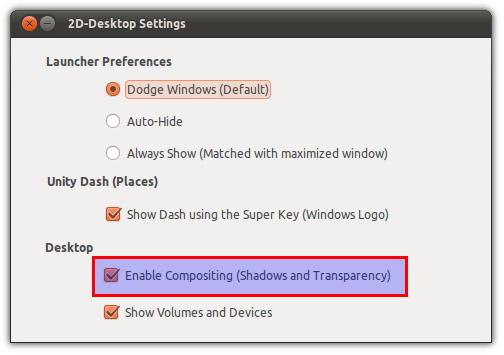 In 2D Desktop Settings, check Enable Compositing and close it. You cans also use this application to change various other aspects of Unity 2D such as Auto-hide etc. Now, execute the command given below for the transparency in the Dash to take effect.